Whenever I get a chance, I will be writing reviews on the self esteem programs I have personally invested in. 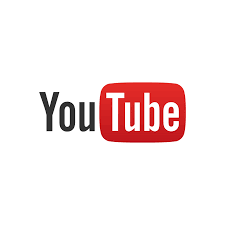 Although I endeavour to give you as much information on this website as possible about how to build your self esteem, it would still be good for you to check out other resources that will add value to your life and help you on your journey. No matter how much we know we must continue learning, the more we learn the more we grow and to grow you must have a balanced diet, you cannot eat from only one source and expect to have all the nutrition your body needs. Okay on with the reviews already! I couldn't wait to share this review with you, because Dr Rubino's self esteem program is one of the best I've ever taken and if you follow the program and do the exercises that he gives on the program, you will certainly see the results in improved self esteem and confidence and you will be a lot happier with yourself, free from the pressures of the world to try and live up to some kind of ideal in order to be happy. Note: Dr Rubino's program comes in electronic format so you will receive it as soon as you order, no need to wait - instant gratification, I Love It! Dr Rubino's self esteem program comes in the form on a 157 page ebook as well as 2 bonus audios (The behind closed doors success interview and the self esteem inner peace audios), packed with solid information for building self esteem and achieving personal fulfilment. Just the bonus audios alone are worth the price of the program and that's no exaggeration. Although there are many self esteem programs out there, one of the reason I decided to invest in this one was because of the credibility of the person that put the program together, there is after all a lot of junk information out there so the credibility of the author matters a lot to me, I want to make sure that I will be getting quality information, so when I discovered that Dr Rubino had worked with the likes of Bob proctor, Jack Canfield, Brain Tracy and other top self improvement coaches I knew he was definitely credible. Unlike many self esteem programs, this program isn't just about affirmations and positive thinking, it goes way beyond that, it helps you get to the root of your self esteem issues, the pain, hurts and rejections of the past that might even go as far back as our childhood, that are affecting our self image and the value and worth we place on ourselves, so that you can in Dr Rubino's words "reinvent yourself"
It was on this program that I first discovered that as much as 85% of people in the world suffer from low self esteem and that some of the consequences of low self esteem are broken relationships, poor communication, crime, not living up to potential etc. I began to imagine what a better place the world would be if the majority of people suffering from low self esteem began to have a more positive self esteem, there would be less crime, less broken relationships, and more achieving and happy people. What a wonderful world that world be and this program (and this website) are contributing towards creating that world. I like the chapters when Dr Rubino was talking about the paradigm of perfection and the origins of self doubt, how we have been conditioned by the media to try and live up to this false unrealistic image of a perfect person. The media creates this illusion of how a perfect person should look, the kind of job and salary they should earn, the kind of body they should have, the kind of skin colour, the perfect height, the perfect nose, the perfect lips etc and when we don't measure up to this image being projected at us we begin to feel unlovable and unworthy. I find this to be so true, he goes on to say that that image of perfection is really unattainable and people are literally beating up themselves for something that's unattainable anyways - Powerful stuff! You get young ladies who develop low self esteem because they don't match up to that image they see on TV of their favourite celebrities, young men are also plagued by this because they feel inferior for not having the six pack or the money and the flashy car - our obsession with trying to attain this image of perfection is damaging to the self esteem and we must realise that perfection is really an illusion. Dr Rubino also talks about how some jobs are looked down on, so we respect the people that are doctors, lawyers, sports stars etc, but we look down on the cleaner, the shopkeeper, the unemployed - so when people find themselves in the category of people that society doesn't really respect, they develop low self esteem and believe that they can t be worth much. Although it is important to be the best you can be, I learned from this program not to attach my worth to my income or work - I am valuable just because and so are you. Dr Rubino throughout this self esteem program gives you exercises to do at the end of each chapter to get you to reflect on how the points that were made in that chapter might be affecting you. For example after the chapter on the paradigm of perfection and the origins of self doubt, he gets you to consider some of the areas you might have been telling yourself you are not good enough, then he gets you to list your strengths and weaknesses, focusing on your strength and striving for excellence in the area of your strengths instead of perfection because perfection is unattainable. Dr Rubino's program isn't just informative but it is very practical. I've taken a few self esteem programs but it was only in Dr Rubino's program that I came across the character called Chip - Chip is that negative voice that chips away at your self esteem until there is none of it left, Chip's negative voice, reminds you of past failures, makes you feel guilty, makes you comfortable with being average or makes you feel like you are inadequate and that you have to keep striving for perfection to be happy. The only thing is that the ladder to perfection never ends so you keep climbing but never become happy. Dr Rubino teaches you how to deal with Chip. Chip's picture kinda looks like Gollum from lord of the rings - a mean ugly thing. Another thing I learned from this program that I haven't seen in many other self esteem programs was not to mix up facts with interpretations, when we interpret events wrongly it can lead to a damaged self esteem, for example it might be a fact that I failed at something I attempted, but I must be careful not to interpret that as "I am a failure". We must accept facts for what they are but not attach the wrong interpretations to them otherwise it will give birth to negative emotion - that was a big eye opener for me. I recommend this program because it answers a lot of the questions about why people develop self esteem issues and how to develop a positive self esteem so that you can have the kind of life you really want. I could go on and on about the life transforming information in this program but if I was to document everything I learned in this book I would end up writing a book myself (which might not be a bad idea actually) and this is just meant to be a review. The program is absolutely amazing, insightful and life changing. 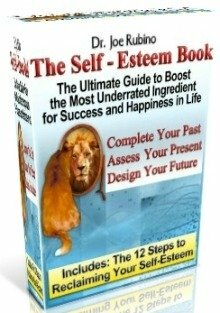 If you are looking for a self esteem programs to invest in, definately consider this one.